OMAHA, Neb. -- A young Omaha girl claims she was the target of bad intentions from a school bus driver. Patrice Parker says her 9-year-old daughter Lala is scared to ride the school bus after a disturbing encounter with a substitute bus driver who was learning the route and sitting amongst the students. "He was trying to look under my skirt," said Lala. "If she could run she would have. If she could have got out of that situation she would have," said Patrice. Lala told WOWT 6 News she held it tight against her legs as soon as she caught the driver staring. "She held her dress down to protect herself and her little dignity she still had," said Patrice. "She felt his eyes glued to her." Patrice says it happened at the end of August on her daughter's bus ride to Skinner Elementary. That's where a teacher overheard Lala telling a friend about the ordeal. "I was upset that had to happen to me. And I was afraid something else would happen," said Lala. The teacher brought Lala to the school's office where Lala told an administrator. That afternoon, Lala rode the bus home "even though she was scared." Patrice Parker is upset and said no one from the school called to notify her of Lala's claims until that evening. "They did what they needed to do to protect themselves, not my child," she said. WOWT 6 News checked with Omaha Public Schools. 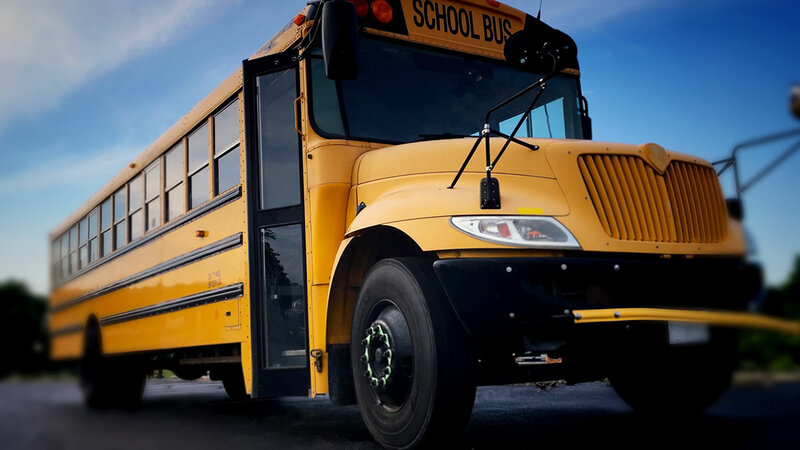 A spokesperson said district officials have investigated this and also alerted Child Protective Services but they did not find any inappropriate behavior by the bus driver. WOWT 6 News was shown a copy of security video from inside the bus. The video quality, modified to protect student identities, wasn't clear enough to see exactly where he's looking. OPS could not release the original security video due to student privacy guidelines. OPS has assured Lala's mom that driver won't be assigned to Lala's route. In the meantime, Lala's mom has filed a report with Omaha Police. An OPS spokesperson told WOWT 6 News Lala's school could have notified Lala's mother sooner and this is a learning opportunity for administrators. They also sent this statement: "The safety and welfare of our students is paramount; we take reports of inappropriate action very seriously. Our staff and teachers are trained to report any student concerns so they can be reported and investigated immediately."